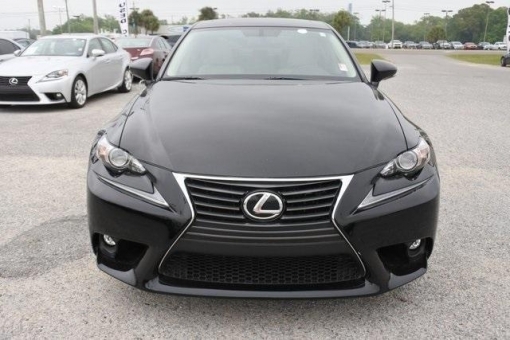 This 2015 Lexus IS has only had one previous owner. The previous owner purchased it brand new and it still looks like the day it rolled off the lot! It is nicely equipped with features such FEATURES AS, 17" x 7.5" 10-Spoke Aluminum Alloy Wheels, Flaxen w/Leather Seat Trim, Power moonroof, Premium Package, and Twin Projector LED Headlamps.